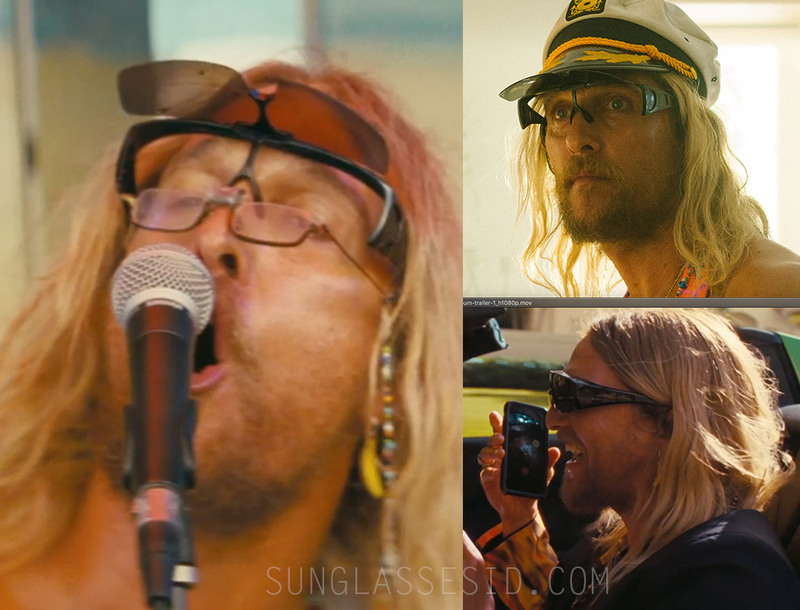 Matthew McConaughey wears black flip-up fit-over shield sunglasses in the 2019 comedy The Beach Bum. 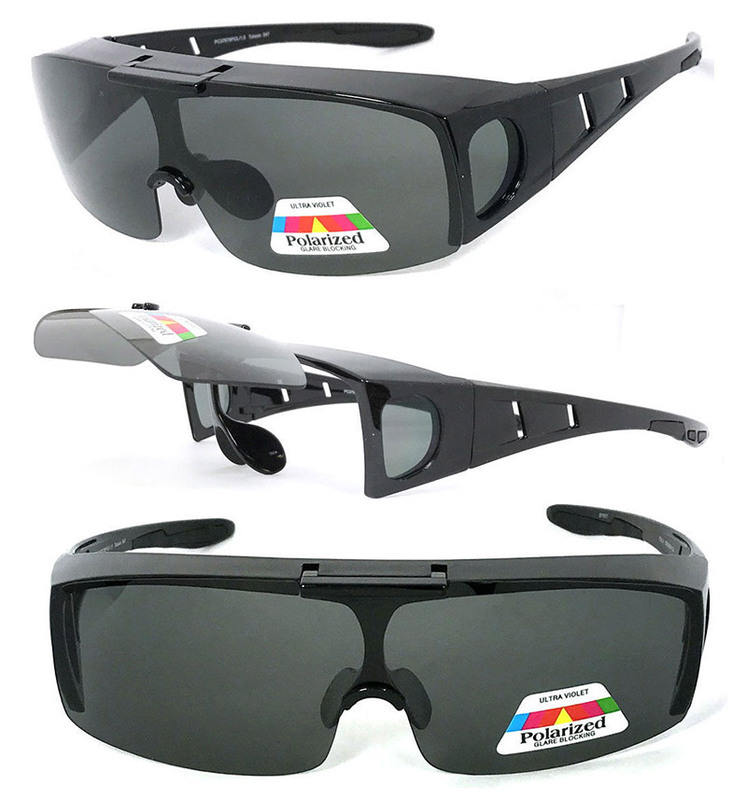 The black sunglasses, brand unknown, are of the 'fit over' type, which means they are meant to be worn over another pair of (prescription) glasses. The glasses in the film also feature 'flip up' sunglasses lenses. A pair of glasses that looks exactly the same is available on eBay or Amazon.com for $10. Matthew McConaughey plays Moondog in the film, which also stars Snoop Dogg (who wears Versace VE2150Q and Versace VE4289 sunglasses), Isla Fisher, Stefania LaVie Owen, Jimmy Buffett, Zac Efron and Martin Lawrence.